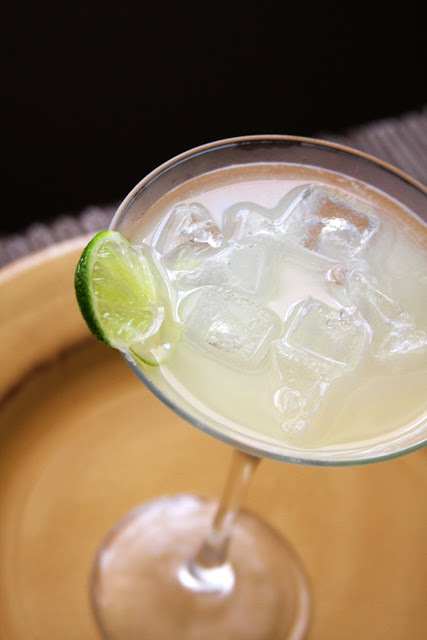 Erin's Food Files » Margarita! I really enjoy margaritas. On the rocks, with salt on the rim. Mmm… I have the same philosophy with drinks as I do with food. I want them to include REAL ingredients. I know to know exactly what I’m consuming. One hot day back in August, I decided I wanted a margarita, I knew I needed to do it right. All it takes is a little time, but it really pays off in the end. I’ve made them like this ever since, and I can’t go back to the mix stuff. If I order one at a restaurant, I instantly know if it was made with fresh ingredients or a mix. Dip glass rim into lime juice. Then dip into a plate of salt. Add ice to martini shaker, then add in all ingredients. Shake, shake, shake. Pour into chilled glasses over ice. Place a wedge of lime on rim. Enjoy! If you are worried that it tastes strong at first, let it sit for a bit, as the ice melts it will mellow out. 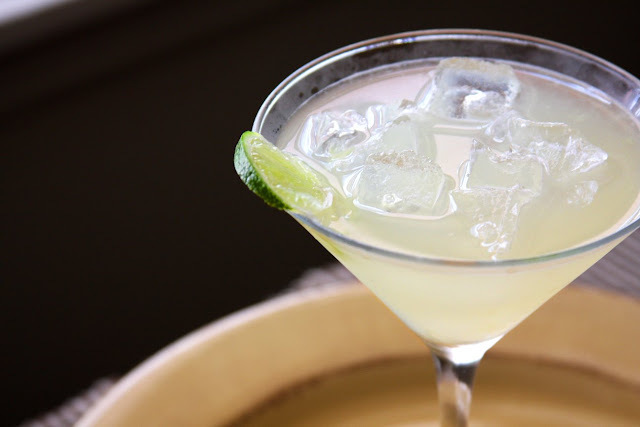 There’s nothing better than a good Margarita! What a good idea to keep the simple syrup in the mason jar! I always have trouble figuring out where to put it.